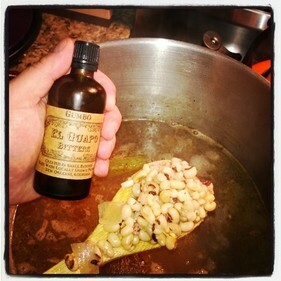 Perfect addition to just about any savory Creole or Cajun recipe. Also great for braising meat or grilling. 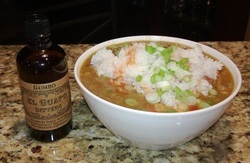 Make your favorite Gumbo recipe and kick it up a notch by dashing some El Guapo Gumbo Bitters on top! Preheat oven to 350°F. In a skillet, heat the butter and sweat the onions, peppers, celery, and garlic until soft. Remove from heat and stir in cornbread crumbs, bitters, green onion, crab, and salt & pepper. Stuff this mixture into the flounder cavity. Heat a heavy bottom cast iron pan on medium-low heat and add a little oil. Dash on more bitters and rub into the top of the fish. Place the fish on the hot pan and sear the bottom for 2 minutes. Remove pan from stove and place in oven. Bake for 20 minutes. Then turn on broiler and watch carefully. Cook approximately 2 minutes under the broiler or until the top of the stuffing is golden brown, toasted and the skin of the fish becomes crispy. Preheat oven to 425°F. Rub the bitters over the skin and in the cavity of the chicken. Sprinkle with salt, pepper, and paprika. Stuff the onion and the thyme in the cavity and tie up the legs and tuck the wings under the bird. Place on a rack over a pan to catch the drippings. Place in the oven and turn the temperature down to 350°F. 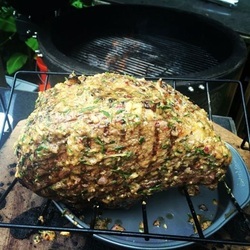 Cook until the internal temperature of the meat reaches 165°F. Deglaze the pan with a little stock and white wine if you want a superb gravy. Soak the peas overnight (upto 24 hrs). In the bottom of a large pot, over medium heat, add the oil and brown the pork. Add the veggies and sweat until soft. Add peas, broth, bitters, and simmer for 2 hours. Add salt & pepper to taste. Serve with rice, hot sauce, and more bitters to dash on top. In a bowl beat the egg, add the bitters, salt, and vodka and whisk. 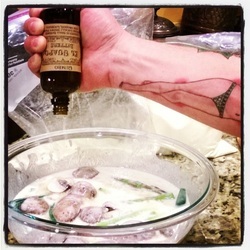 Add the club soda and lightly whisk. Add the flour a little at a time and stir lightly into the liquid until it is fully incorporated and well mixed. Batter veggies, shrimp, chicken, and fry to perfection. Mix all ingredients, except for the cheese, in a bowl. 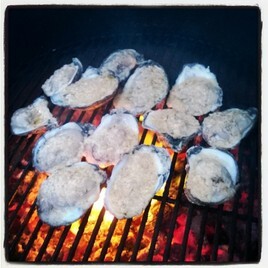 Place freshly shucked oysters over a hot fire on the grill. Add a spoonful or 2 of the mixture and close the lid. Allow to cook for a few minutes until hot & bubbling. Sprinkle on cheese and cook for a minute or 2 longer. 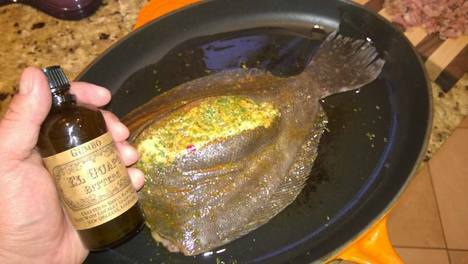 Remove from grill and serve with lemon slices and French bread. 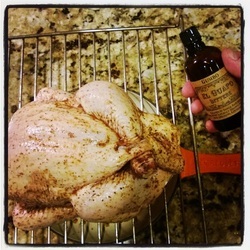 Rub bitters onto meat before baking or grilling. Or, use in a wet rub. Add all ingredients to a food processor and pulse until the solids are minced.